Happy Valentine's Day, Writeous Babes! I hadn't planned to blog today. In fact, I'm breaking a personal rule by writing this because today is my day off. Today there was to be no writing, no grading papers, no brainstorming for my business; today was to be just about spending time with my husband. But he's still tucked in bed and I woke up with a message on my heart that I just had to share. This has been quite a week for me. 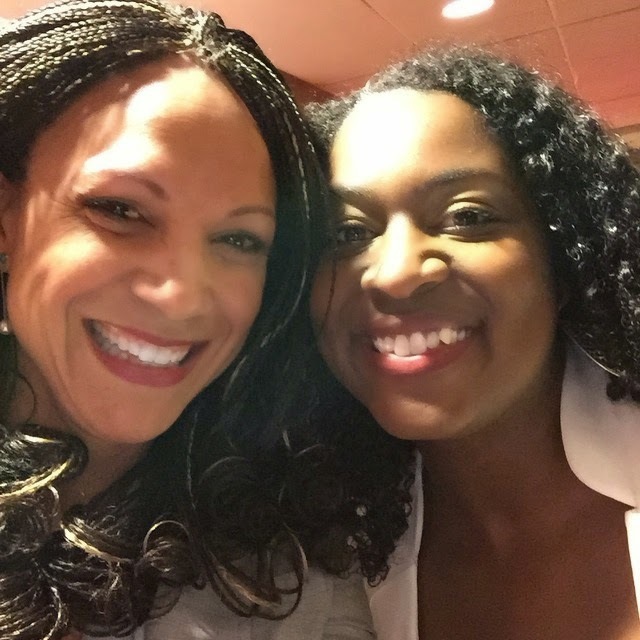 On Monday I celebrated my 34th birthday by meeting my hero Melissa Harris-Perry of MSNBC's Melissa Harris-Perry Show. 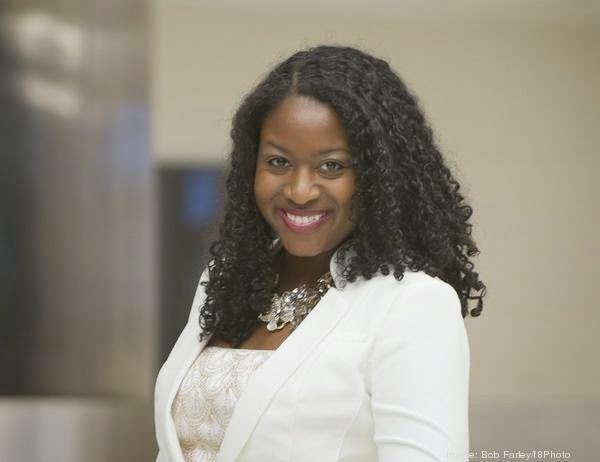 The Birmingham Business Journal announced its Top 40 Under 40 class for 2015 and I am honored and proud to say I am among those recognized. On Thursday I announced that I'd be doing a blogging boot camp for 5 participants and the $100 tickets sold out in a day. And last week I was featured on the blogs BalancedBabe.com and Twenties Unscripted (which allows us old folks to be interviewed, too). 2015 didn't start the way I had hoped. January was a pretty mediocre month for me and I felt very discouraged. This month, though, I've been on fire! So this morning I asked myself what was different and it hit me: This month I have believed that I am loved and that I deserve success. Last month, my relationship with God felt rocky and so I'd convinced myself I did't actually deserve to have my prayers answered or even heard. But, fortunately, I left that attitude in January. I am loved. I am loved by my God who is blessing me with the desires of my heart. I am loved. 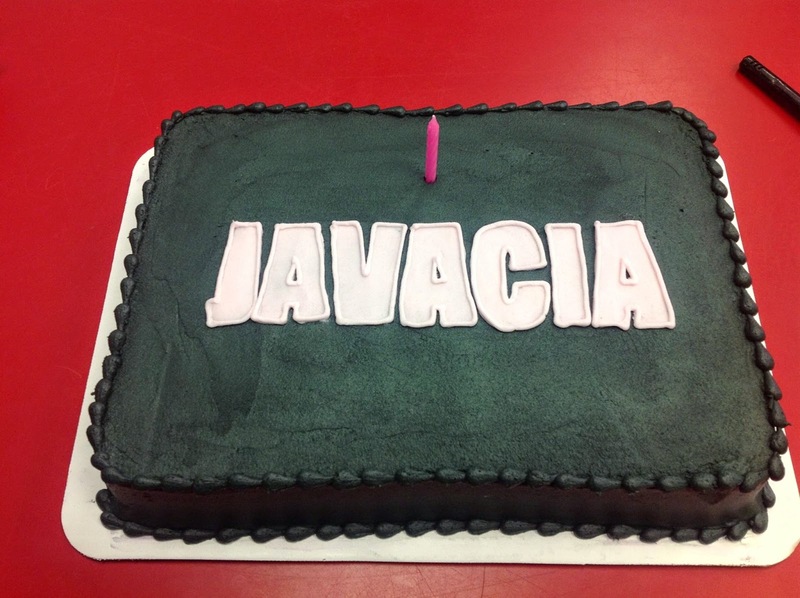 I am loved by my students who surprised me with a Beyonce album cover themed birthday cake. I am loved. I am loved by my husband who arranged for me to meet Melissa Harris-Perry. I am loved. I am loved by the women of Birmingham and See Jane Write who nominated me for the Birmingham Business Journal award. On this Valentine's Day I want you to think of and even write down all the ways you are loved. Don't think Valentine's Day is just a day for romantic love and couples. In fact, some of the best Valentine's Day celebrations I've ever had were with my girls! And on this Valentine's Day I also want you to focus on loving yourself. You see, I was loved by my God, my husband, my students, and my friends in January, too. But the difference between this month and last is that in February I have loved myself. In February I believed I deserved to be loved and deserved to be blessed. So my Valentine's Day gift for you is this little mantra: "I am loved. I love myself. I deserve the desires of my heart." Repeat it, believe it, and just watch what happens next! Thanks, Valerie! I wish the same for you!